Here are some upcoming fun events at one of my favorite local wineries: Wilhelm Family Vineyards. 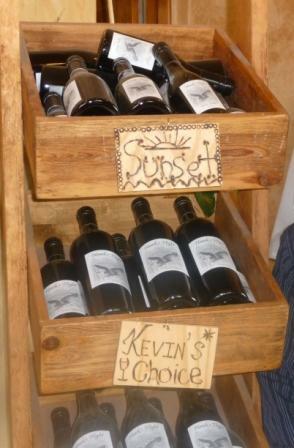 I’ve enjoyed their Kevin’s Choice (not just because of the name), and have bottle of their Rendevouz sitting in the rack now. They make good wine, and they’re just nice folks. So here’s what they’ve got going on for the next month or so. Salut! How many times have you sniffed a glass of wine and thought “I know that smell”, but you just couldn’t put your finger on it? Karyl offers a Wine Aroma and Sensory Perception Seminar to help educate you and make your wine drinking even more enjoyable. Whether you are new to wine or long-time enthusiast, you will find this seminar a memorable and entertaining experience. Come join Karyl at our winery for this fun event. Call ahead to reserve your spot – space is limited. Karyl will be offering this seminar at our winery during the Wine, Dine and Unwind weekend. So while you enjoy everything our community has to offer, make sure you come in and see us during this weekend. Whether you are new to wine or long-time enthusiast, you will find this seminar enjoyable. Karyl hinted at a barrel tasting with a wine thief too! Call ahead to reserve your spot – space is limited. We will be opening our doors for our first Wine Festival. We have many local vendors planning to sell their homemade foods, crafts and arts. The entry fee includes a commemorative glass, eight tickets for tasting and access to the winery and crush pad with tours, food vendors and live music throughout the weekend. We’re excited about our new release red wine sporting a snazzy Patriot Salute label. Other activities such as horse back rides and a mounted shooting demonstration are being coordinated. Come enjoy this special day of our National history and help us show our support by saluting our troops and heritage. Present your military ID at the door and receive a discount. Would you please inform me if your vineyards were damaged by the hail storm as reported in the AZ Republic on August 18th. Does this effect scheduled tours to the vineyards for 10/22? Thank you for any information your can send. I’ll pass your question on to Karyl at Wilhelm Vinewards!